So I put on 4lbs at Christmas. I finally dusted the scales from the back of the washing basket and bit the bullet so to speak. As suspected. I have completed 'myfitnesspal' religiously and more importantly I have now completed the first week of my couch to 5K app. I decided to go straight from school drop off on Wednesday and it was absolutely tipping it down with rain. The mum's thought I was mad going jogging in this weather but as I wrote before (following on from reading What's Your Excuse Not to Exercise) if you don't exercise every time it rains then that's a whole lot of exercise you're not doing. My coat was so drenched it took all day to dry out on the radiator and the breathing mesh on my trainers aren't waterproof. Even on the second day of the app I noticed I had finished my route 3 minutes quicker than I had done on the 1st attempt and today I finished it about 5 minutes quicker. Which means next week I'll have to go a bit further out on my route. I have been totally inspired by lots of people who have completed this app and dropped stones in particular Rachel from www.theordinarylovely.com speaking of which she sent me a link to an excellent article on fitness for weight loss. Basically, it said that exercise has very little impact on weight loss. Yarp sorry folks. In fact, it said (following on from very scientific calculations and studies etc) that you are far better to spend time on logging your calories or preparing a healthy meal than exercising. The amount of exercise you have to do to lose a small bit of weight is massive. I think the vast majority of people (myself included in days gone by) will eat more because they have exercised but basically even if you are running you need to still only consume your dieting calories. I found it a very interesting read. Here's the link. 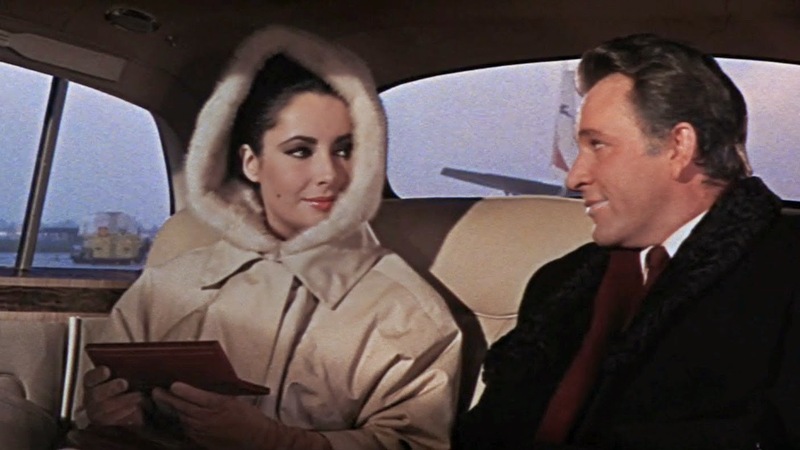 In other news, my love affair with Elizabeth Taylor and Richard Burton has yet to diminish. They made many poor films together until they were panned so repeatedly that they had to start making them separately which ultimately led to the demise of their relationship. In any event, I love watching them and they're not so bad (except Boom! which is truly awful!) The VIPs (set at Heathrow airport - a wonderful 1960s period piece featuring a very young Maggie Smith) where Liz is having an affair and Richard is her husband , The Comedians (about the troubles in Haiti) where Liz is married to someone else and is having an affair with Richard and last nights delight The Sandpiper where..you've guessed it..Richard is married having an affair with Liz who is a divorced, free spirited artist and to really add the wow factor Richard was a clergyman! A common theme going on then. But I love watching nevertheless for that old movie colour and the on screen chemistry. They made such a beautiful couple. Elizabeth's wardrobe was by Givenchy in this film - its a slow burner but if you just watch it for the old telephones and a by gone era than its a must! Well that's all for now folks - have a wonderful weekend! Glad you liked the article. I read it the other day but it's actually the kind of plan I followed last year when trying to lose weight. Meal planning and preparing the right kind of meals is vital. Well done on the running!